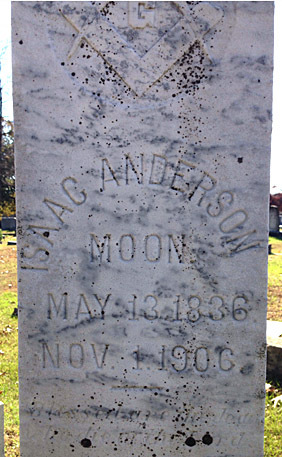 Comments: Isaac Anderson Moon was born in Albemarle County, Virginia, on May 13, 1836, and he was the sixth child of Edward Harris Moon (1805-1853) and Anna Maria (Barclay) Moon, who lived at Viewmont near Carter's Bridge. 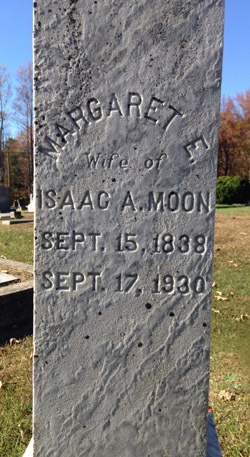 Isaac was the brother of Charlotte "Lottie" Moon and Edmonia Harris Moon, missionaries to China beginning in the 1870's. Another of his sisters, Orianna Moon, enrolled in the Female Medical College of Pennsylvania in 1854 and was awarded her Doctor of Medicine in 1857. 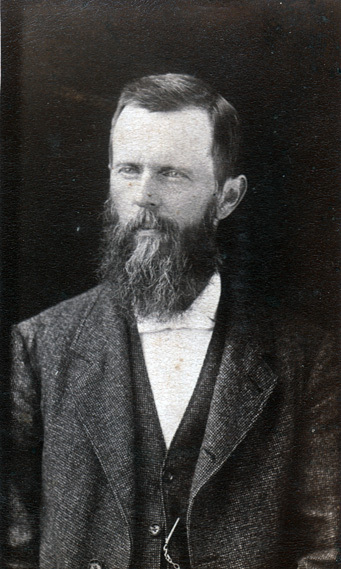 In 1857, Isaac married Margaret Elizabeth Jones (1838-1930); the wedding was conducted by Rev. P. C. Hoge. Isaac was an attorney of the Albemarle County Bar until he retired; Isaac passed away on November 01, 1906, in Crewe, Virginia; he is buried in the Crewe Cemetery, Nottaway Co., VA.
1. Sketches of The Moon and Barclay Families Including the Harris, Moorman, Johnson, Appling Families compiled by Anna Mary Moon, Chattanooga, Tennessee, November, 1938; p. 45. 2. Alabama, Texas, and Virginia Confederate Pension Applications, 1899-1975. Vol. 1�6 and 1�3. Ancestry.com: Alabama, Texas and Virginia, Confederate Pensions, 1884-1958 [database on-line]; Provo, UT, USA: Ancestry.com Operations, Inc., 2010.